Natural flavors, malic acid, citric acid, calcium silicate, acacia gum, sucralose, natural colors (beet juice and grape skin extract) and acesulfame potassium. As a dietary supplement, mix 1 scoop with 8 oz water. Use up to 3 servings per day or as directed by a healthcare professional. Store in a cool, dry place. Natural flavors, malic acid, citric acid, calcium silicate, acacia gum, sucralose, beet juice (natural color) and acesulfame potassium. Get ripped, without getting ripped off. Watch Mike and CJ put ARO to the test above, and it comes through with flying colors as a great energy formula. The light, delicious taste makes it useful even as a standard energy drink. CJ busts PR's! Great-tasting, refreshing drink – easy to mix! What is ARO Pre-Workout Concentrate? Motivation. Energy. Endurance. We've got your back. Train harder with ARO Pre-Workout Concentrate—an exclusive, new pre-workout formula formulated by athletes for athletes, delivering aminos, standardized herbal extracts, creatine and caffeine to help you power through stronger and reach your fitness and body-sculpting goals. ARO Pre-Workout Concentrate contains no hidden chemical ingredients, no artificial colors or dyes—it's the real thing. Each serving floods your system with 1.5 grams of premium CarnoSyn, a patented, form of the amino acid beta-alanine that's been rigorously tested for purity and efficacy. You also get 1,000 mg of creatine monohydrate, with added AAKG and L-Tyrosine. Don't settle for less. Fuel every workout with ARO Pre-workout Concentrate – and feel the difference. 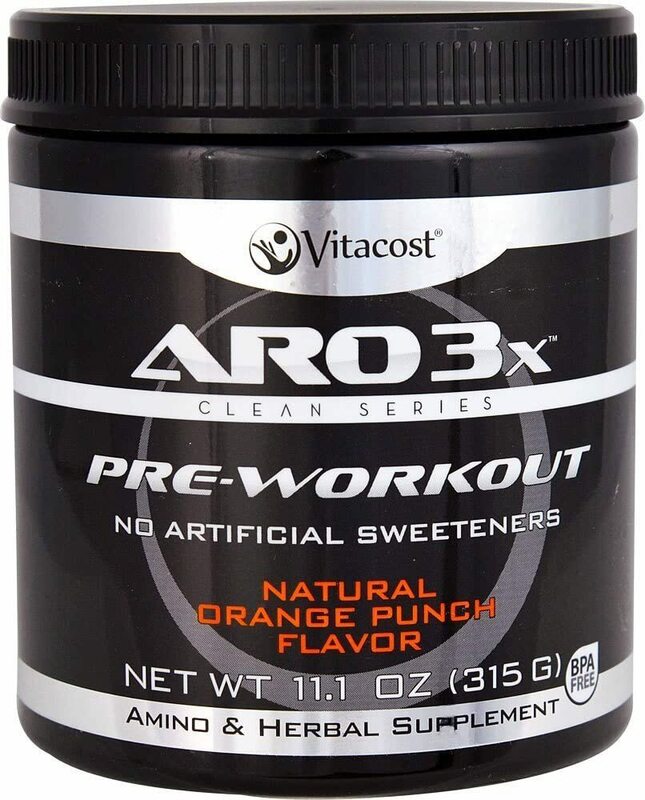 Why choose ARO Pre-Workout Concentrate? nutritional products are manufactured to high standards of quality, efficacy and safety. Each product meets or exceeds the standards and requirements set forth in the FDA's Code of Federal Regulation (21 CFR, 111) Current Good Manufacturing Practices (cGMP). Free Of Milk, eggs, peanuts, tree nuts, crustacean shellfish, fish, soy, gluten, titanium dioxide. Disclaimer These statements have not been evaluated by the FDA. These products are not intended to diagnose, treat, cure, or prevent any disease.